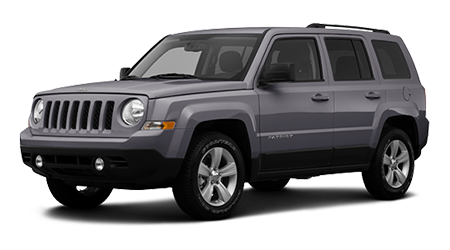 The 2015 Jeep Patriot looks like a classic rugged SUV, but it is also a modern compact crossover with great on road manners. No matter if you want an on or off-road focused Jeep, Sulphur Springs Chrysler Dodge Jeep Ram has probably got one, and at a great price, and if we don’t we will find you one ASAP. 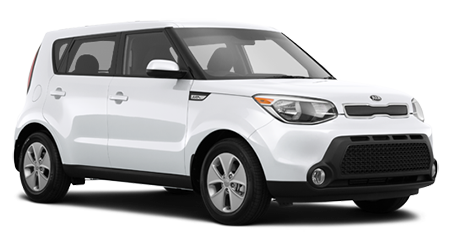 The 2015 Kia Soul is the funky, practical, boxy compact that fits a lot into a small package, but there are plenty of reasons to pick the Jeep over the Kia. No matter which of the two available motors you choose for your Jeep Patriot, you’ll get more power than the comparable Kia. The base Jeep motor is a 2.0-liter with 158hp, compared to the 1.6-liter Kia motor with just 130hp. Choose the optional motors and the Jeep has 172hp, compared to the Kia’s 164hp. Both of these boxy utility vehicles give you plenty of room inside, but the Patriot has several cubic feet more passenger space than the Soul. The Jeep uses this space to give everyone in the car more headroom, plus the rear seat gets better legroom and hip room than the Kia. If you don’t have enough room inside, you can tow a trailer with the Patriot weighing up to 2,000lbs with the factory tow options; Kia Soul does not have any tow rating at all. Of course, the Jeep Patriot is no rock crawler or mud buggy, but it does offer all-wheel drive, and off-road oriented options. The Kia Soul is front wheel drive only with no off-road pretensions. Click off the right option boxes, and the Patriot will get you places no front-wheel drive economy car would dare to go, with available all-terrain tires, skid plates, low range gearing and more. Perhaps the best feature of the 2015 Jeep Patriot is its classic Jeep looks, even though it is a very modern vehicle under the skin. If you want an economical crossover that can still take you through the backwoods to that secret hunting or fishing spot, get to Sulphur Springs CDJR and get a Patriot. We’re easy to get to from anywhere in the Tyler, TX or Greenville areas.